Elle is from Gypsy Renaissance's Wedding Masks collection. 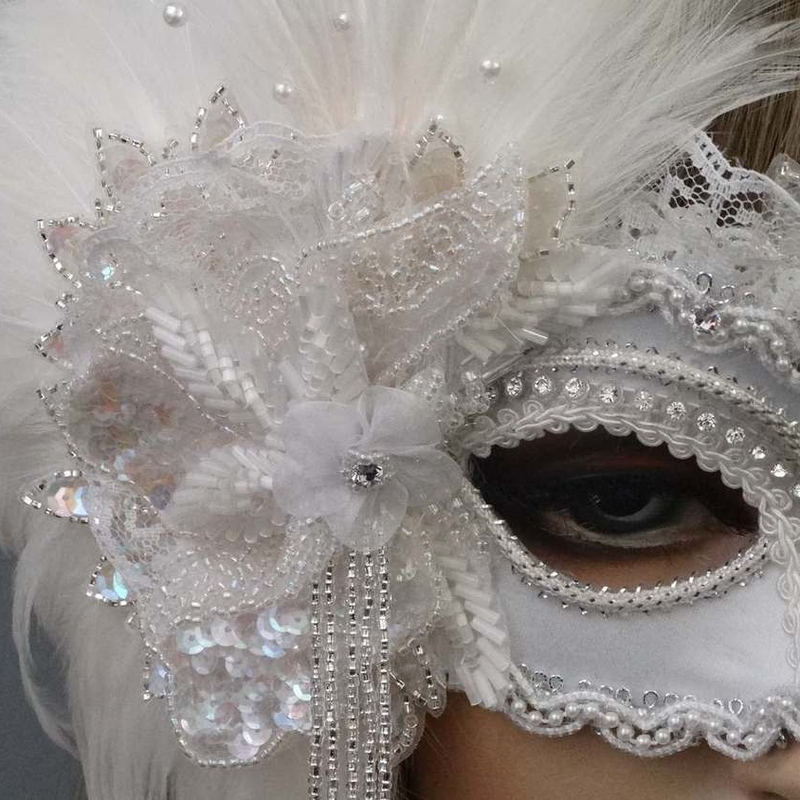 Ava is an ivory masquerade mask with ivory lace, white ostrich plumes, feathers, and satin ribbons. Elle mask is covered with white satin fabric and decorated with white, silver, and pearl braiding, rhinestone banded trim, and white lace. Mask is adorned with a semi-circle of white feathers and three fashioned ostrich plumes with silver painted stems. Mask is embellished with white satin and opalescent glass beaded leaves, opalescent silver appliqués, and silver glass beaded dangles. Finished with pearl sprays, tulle flowers, and Swarovski crystal rhinestones.